Adorn It-Crystalline Textured Acrylic Die Cuts Sheets. Die-cut ready for you to paint, distress, adorn and make it easy for you to quickly add dimension to your projects! Create up to five window frames, one tag and two accent pieces. 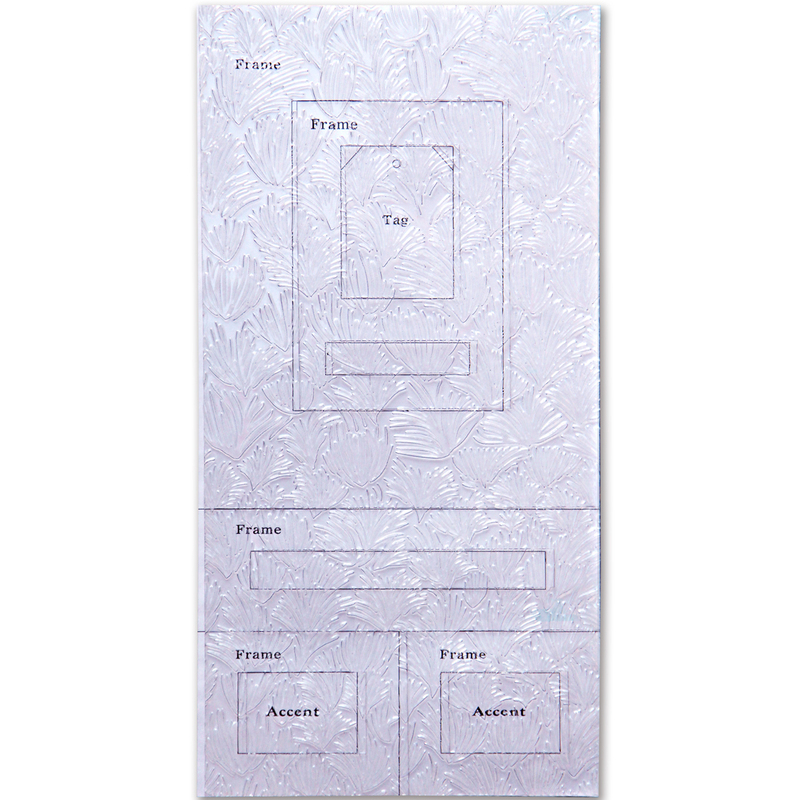 This package contains one 12x6 inch crystalline textured acrylic die cut sheet. Comes in a variety of designs. Each sold separately. Imported.